Book received at no charge by the publisher to facilitate my review. What boy or girl hasn't wondered about poop? Just the word is sure to elicit giggles from any group of children. With fun, quick-witted rhymes, All About Poop answers the age old question of where poop comes from and why we make it. From the moment the book's star swallows his food, the process of forming poop and farts begins. 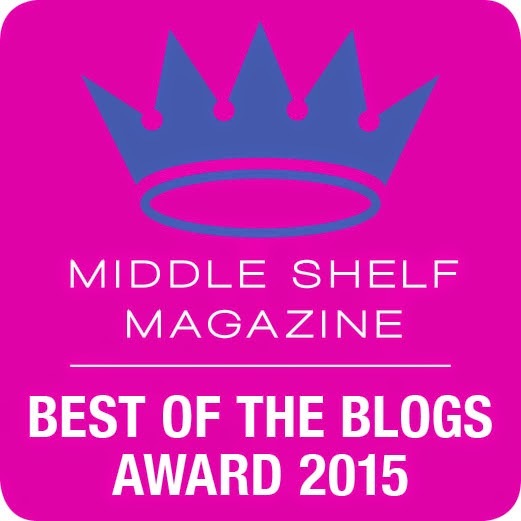 The reader follows the simplified journey from esophagus, stomach and intestines and eventually to the sewer. Even the most serious minded can't help but laugh at the illustration of poop shapes that give pause to the curious minded without being too gross. The smelly gas that sneaks out in farts complete with sounds like "flap, pwip, and "squeep" add comical fun while the admonition that "poop has germs" remind youngsters of hygiene without taking away from the amusement. 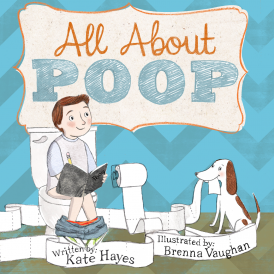 Author, Kate Hayes, lists five things to remember and some fun facts about poop at the end of the book. She reminds readers that it's not nice to talk about poop unless you're reading this book and it's one your child or student will definitely want to read. While getting educated, please remember number two and "Don't poop in your pants."